Some parking spaces and sections of Coral Street and 2nd Street are closed. We will monitor the situation closely to ensure enough parking is available for patients and visitors. 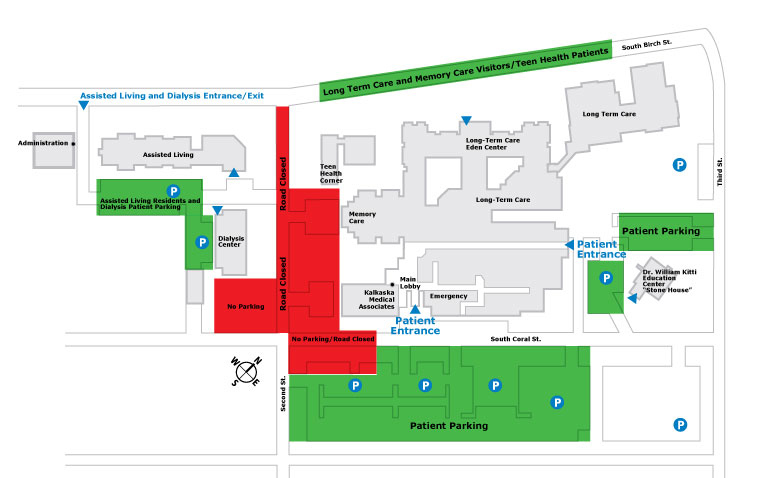 If parking areas shift during construction, we will provide patients and the community with updated information. Check back for construction updates and parking changes.